Overall, the story of air purifiers is a positive one since this technology was invented with one and one purpose only, to provide us with crispy clean air. However, when you start to research you will realize there are an abundance of air purifiers on the market. It’s difficult to understand exactly what kind of a cleaner to choose and what you should look for, or be wary of. Each purifier comes with its own settings as well as accessories that make everyday life easier. From different filter technology to certifications and light indicators, there are useful and (not so useful) options you need to consider. Below, I intend to look into various factors that influence the value and ranking of an air cleaner. If your air purifier is based on filter technology one useful option is a filter indicator. What does this indicator actually do? It lets you know when you need to replace your filters or clean them. This is beneficial for two reasons. It saves you money because you won’t be changing filters prematurely. Secondly, it’s one less thing you have to worry about! Once the indicator goes off, you clean or replace the filter. Air cleaners that don’t feature this technology could still give fantastic performance, but you have to calculate when to replace your filters or look inside you air purifier and look for an indication like the one on the image. The Association of Home Appliance Manufacturers evaluates air purifiers by their ability to efficiently remove airborne particles invading our homes. This effectiveness is measured with CADR (Clean Air Delivery Rate), and this is done using three numbers that represent the most common air pollutants pollen, dust, and smoke. The higher each number is, the more efficient the cleaner at purifying the air. It’s important for a filter to be AHAM certified if you really want a proficient machine. Some of the most recent air purifiers have sensor technology that measures the number of pollutants in the air, as well as what kind of pollutants are present. This comes in handy especially if you can manually adjust the speed of the fan. Some air purifiers also have the option to automatically adjust the speed in order to filter the air faster if there are more airborne pollutants around. This is called IntelliSense Technology, and is a great innovation making your experience completely hands free. State of the art air cleaners come with LED indicators portraying dust, temperature, humidity and odor conditions in the room. Additionally, you can adjust the sensitivity of sensors in order to control these conditions. 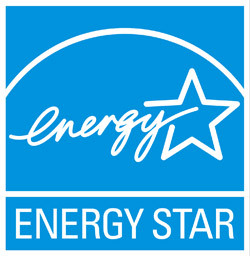 Air purifiers that have a label on from Energy Star are cost and energy saving. Not only will you save money on your electric bill, your air purifier will consume a lot less power than a normal cleaner making your machine environmentally friendly as well as affordable. Things like this are usually taken for granted, and once you don’t have them you realize how beneficial they actually are. A remote controlled air purifier is a definite plus. Being able to control the airflow and speed from any room or distance is a great advantage, and makes the experience of having purified air even more luxurious. If you have a small unit, it comes in handy to have caster wheels. Some air purifiers have caster wheels already installed which is useful for moving the unit around your home or office. Consider this if you have a large home or many rooms to filter. Most air purifiers include a setting for varying fan speeds, and this enables the air cleaner to purify dirtier air much quicker if you so desire. Using the unit on low speed will, of course make it quieter which is very useful if you want to run the unit overnight. I’ve saved the best until last. If an air purifier doesn’t have a pre-filter to begin with, you’ve probably made a costly choice. Air purifiers that include pre-filters have a longer life span because the pre-filters protect the main filter from being contaminated. But, if the pre-filters are washable or have the option to be vacuumed this is a dream come true. This way you save money on replacing the pre-filters which could be often (depending on how heavy the usage is). With so many things to watch out for, choosing the right air cleaner can be an overwhelming task. However, following these tips could make your purchase process a lot easier. Remember though, personal preference does come into it as well.